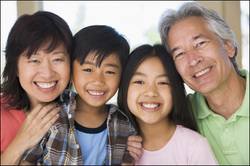 A Free Estate Planning seminar covering general estate planning subjects and living trusts. We will answer questions such as "Who should do estate planning?" "Why should I do estate planning?" and "What are the best ways to prepare for my incapacity and death?" not to mention any questions you may have. We are so convinced of the value of this seminar that not only are we offering it for free and providing refreshments, but we are even going to pay you $5 for giving an hour of your time. Submit your information below to register for this event. 12 - 1 p.m. M.S.T. It’s a common myth that estate planning is only for wealthy families. But the fact remains that estate planning is not about the value of what you own, but the way you value what you have. Many Americans are not aware that the lack of proper planning often results in chaos for those left behind – especially if a family business is involved. Recent surveys show that three major reasons clients plan are to minimize discord among heirs, to avoid lengthy probate courts, and to protect children from mismanaging their inheritance.